Home HTC HTC Status Facebook Phone getting discontinued already? 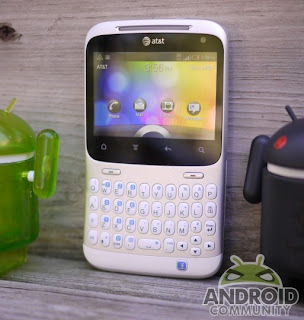 HTC Status Facebook Phone getting discontinued already? It appears AT&T is ready to de-friend the HTC Status. Are AT&T and HTC looking to discontinue the HTC Status (aka Facebook phone) already? I know deep down all you readers are screaming NOOO silently because you all just love this little phone. Some new rumors are floating around and have yet to be confirmed that are claiming that AT&T is ready to put this little guy down after only a short while on the market. For those unfamiliar with this “awesome” phone it is AT&T’s version of the HTC ChaCha that launched in Europe with that popular Facebook button on the bottom. Although I guess we can’t really call the button popular because it looks like no one is buying into the idea. In his review he loved the hardware (as we do with most HTC phones) and the keyboard was awesome to say the least, but the good points ended there. Apparently a trusted source of TechCrunch is now claiming that due to a severe lack of demand, and poor sales AT&T is ready to ditch the HTC Status after only a short 36 days on the market. Even the HP TouchPad lasted longer than that, but only by about 10 days or so. I guess this little 2.8″ display phone packed with a hardware keyboard and that lovely Facebook button will have to try elsewhere because so far no one seems to be taking the bait. If we hear anything official we will report back, but for now you can call the HTC Status de-friended.